February 5, 2018 by Laurie Leave a Comment This post may contain affiliate links, which means if you click on a link and purchase something, I may earn a small commission (at no additional cost to you.) See my disclosure policy HERE. 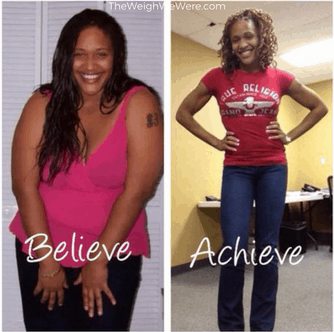 Head over The Weigh We Were to see how Rachelle lost 139 pounds by facing her biggest hurdle – doubt!